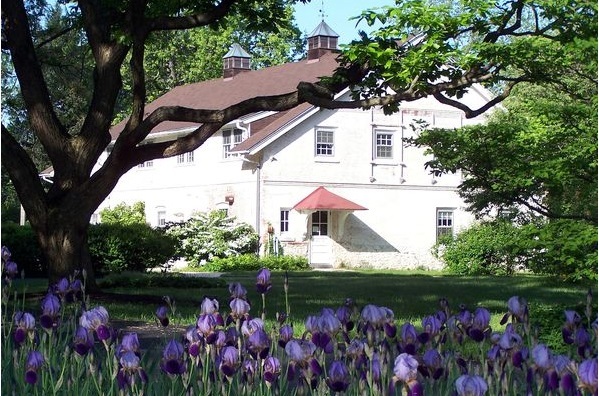 Located on 24 tranquil acres in the heart of a Quaker community, Pendle Hill offers a relaxing “world apart,” yet is within easy reach by car, plane, bus, and train. We offer a dedicated and friendly staff, extraordinary hospitality, rich and varied opportunities for seeking, and a lovely wooded setting. Many people who come here find their lives forever changed. Pendle Hill’s vision – “to create peace with justice in the world by transforming lives” – is moved forward in worship, presentations, weekend workshops and retreats, short courses, and remarkable conversations. People leave here with new insights and inspiration, and with heartfelt awareness that this deeply rooted community is a place they can return to again, and again. Come visit. Walk our woodchip perimeter path and explore our miniature ecosystems of forest and lawn, meadow and vegetable garden. Join us for worship or a meal. Come for a First Monday presentation. Listen and dialogue with engaging speakers the first Monday of every month, year round. Come for a workshop or course. Gain new awareness and make rewarding new connections. While you’re here: Create in our art studio. Read in our library. Play our grand piano. The change you want starts with a commitment to show up. The place, program, and people at Pendle Hill create a unique environment where transformation begins and grows. Discover what we offer you. We look forward to welcoming you soon.